The table must be a uniformly dark color with a white line, 2 cm thick, painted along all four edges. A net shall run horizontally across the entire 1.525 m-width of the table, dividing the table into two, equal, 1.37 m, lengths. The top of the net is 15.25 cm above the playing surface. 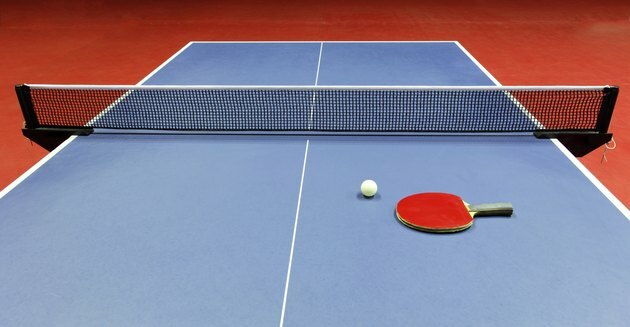 For doubles, an additional line, 3 mm wide, is drawn perpendicular to the net, down the center of the table, dividing the table into two, .76 m, equal half-courts.